Take A Look At Our Brand New It’s A Luxe Life Train Case Kit! If there’s any reason to get excited for Christmas this early it’s because of our brand new Train Case from our It’s A Luxe Life Collection! We here to take you through why you NEED this ultimate nail kit this season! The Red Carpet Manicure Christmas Train Case is the ultimate step up in our system. 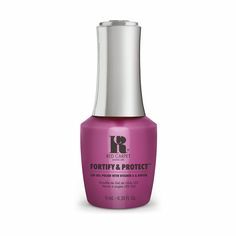 First and foremost, it contains the original Pro Starter Kit contents, meaning you will get all your essentials for your next Red Carpet Manicure. This time, we’ve included our brand new A-Muse Me gel polish, to give you that festive feeling. 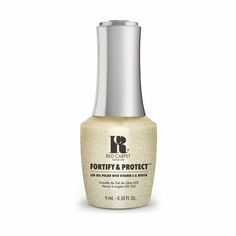 Removal is crucial to ensure your nails are healthy and strong for their next Red Carpet Manicure, especially during the colder months ahead, so we’ve included all our essential removal items including foil wraps and Erase remover. Here’s where it gets really exciting. We know how much you love your nail art, so we’ve chucked in a few of our Appliques, French Tips and Jewels for you to jazz up your Red Carpet Manicure for the party season ahead. You’ve also got our Accessories Kit to not only prep your nails, but help you with the application of your nail art products. We’ve even included an Instructional DVD to help you along the way. Of course, the Train Case itself is a must have, we especially love it for storing all of our favourite Red Carpet Manicure shades, as well as all our essentials as the ultimate Red Carpet Manicure station. Want to get your hands on all of this? Shop our Train Case here! For more on our new launches, follow us on Facebook, Twitter, Instagram and Pinterest!